June 1966 was when I first saw John Snow in the flesh. It was my first professional cricket match and my first visit to the County Ground at Eaton Road, Hove. I was eight years old and Sussex were playing Nottinghamshire in the Championship. I went with my best chum and his dad, Eddie, who worked, as he described it, as "a lackey to the academics" at the local College of Education. He was social ease and jollity personified, and for a kid from an uncertain domestic milieu, made everything rich with droll humour and raffish sparkle. As we walked towards the ground, Eddie told us to pay special attention to Sussex's young fast bowler, who over the winter had remodelled his action, and just two days before, run through the mighty West Indian tourists, taking 11 wickets in the match. Eddie had an "inside source for all the Eaton Road griff" in Richard Langridge - son of James and nephew of John, who dominated our home side from the mid-'30s to mid-'50s. Richard was still on the county books while training to be a teacher. He had told Eddie that at Spring Nets, all had been quietly amazed by Snow's transformation; his action was much more side on, and he was now "seriously quick". By the time we'd passed through the turnstiles and settled on the weathered benches at the Sea End, it's fair to say we had been fully primed for idolatry. Just as well Notts won the toss and batted or we wouldn't have seen Snow bowl at all. Eddie hadn't mentioned this possibility, blithely confident that things would all work to plan, which they duly did. 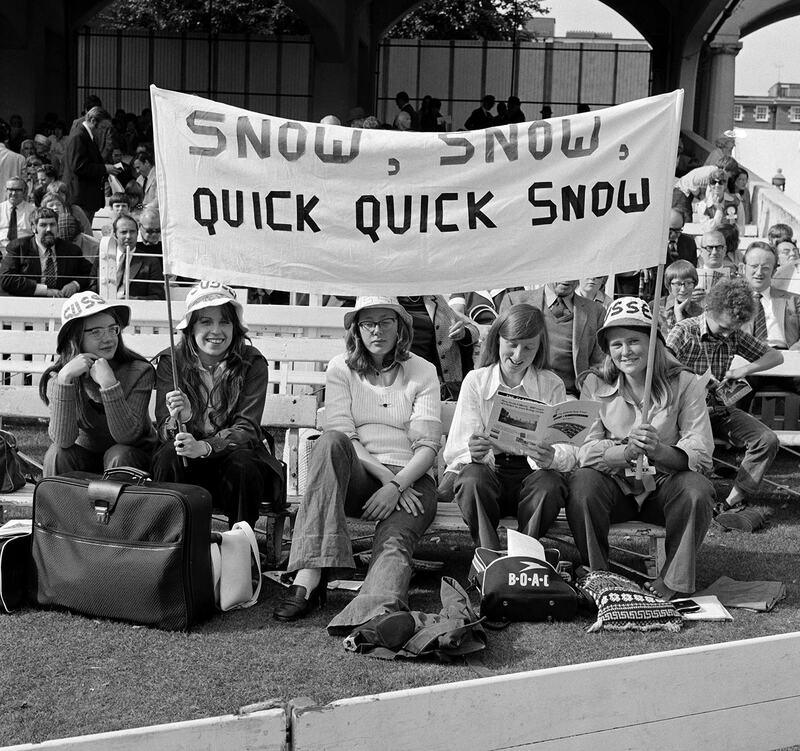 There had been 10,000 watching Snow skittle West Indies, but while the members' pavilion and the deck chairs at the Cromwell Road End were full, in the cheap seats to the south we were virtually on our own. Snow took the new ball and as he came down the hill, we watched with anticipation as his first delivery smacked into the keeper's gloves with an audible thud. "Blimey, that was fast." In truth, the atmosphere in the ground, probably had a bit of "after the Lord Mayor's show" about it, but for us two neophytes, it was a day of high intensity. We never took our eyes off Snow, not just when he was bowling. We leapt from our seats when he took his first wicket (RA White, caught behind for 18, the record tells) and then for three more. At lunch we ran onto the outfield and attempted to bowl overarm at each other with a tennis ball, while Eddie went off on a "sport of kings"-related "errand". He returned armed with a large bottle of Tizer and three large Cornish pasties and a quart of shrimp wrapped in newspaper. His tipster had come up trumps. As the Notts innings neared its conclusion, we worked our way round the boundary towards the pavilion to catch the players as they left the field. Even Snow walking straight past us and up the pavilion steps, without so much as a glance at our politely proffered autograph books, didn't take the gloss off things. We returned home exhausted. Alf Tupper, Tough of the Track and Roy of the Rovers were reduced to what they were - two-dimensional comic book heroes. We'd got ourselves the real thing. The hook was the thrill of pace, the easy menace of the run-up, the shuck of the hips, the whipping down of the right arm in delivery. Above all, was a swooping pick-up-and-throw from deep fine-leg, right over the top of the stumps into the keeper's gloves, all done in one smooth, unbroken movement. Everything looked easy. For a boy with an eye for the ball but little natural athleticism, the ease was the thing. "Rhythmic. Beautiful," was how Eddie put it. As one of Snow's new-ball partners at Sussex, John "Spud" Spencer told me recently: "The main thing Snowy taught me about bowling was that it's all about rhythm. Rhythm is everything." In his own land John Snow is the great forgotten strike bowler. In the wider cricket world, the likes of Sunil Gavaskar, Ian Chappell and Dennis Lillee - who rates him second only to Andy Roberts in the top ten fast bowlers of his time - hold him in the highest regard. But at home, while there is much on his "cricket rebel" persona and membership of the Awkward Squad, appreciation of his contribution to the England Test Team is meagre. 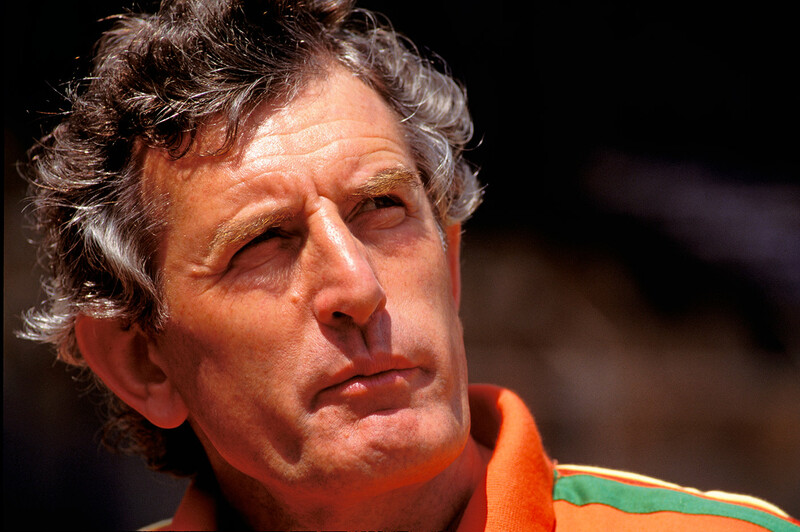 His omission late last year from BBC Sport's longlist for the All-time Ashes team, is one example; David Frith's recent reminiscence of when he sat down with John Arlott and Jim Swanton to conduct a similar exercise for the Cricketer 40 years ago is another. If only from the statistical perspective, neither panel got their sums right. 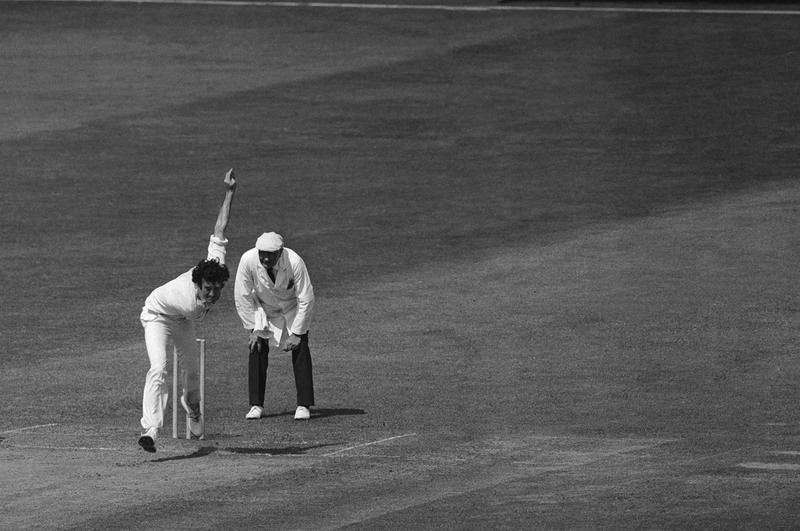 Snow played 49 Tests for England between 1965 and 1976, taking 202 wickets at an average of 26.66, a strike rate of 59.5 and economy rate of 2.68 an over. Good, but not remarkable on the wickets front. In terms of averages, though, among genuinely fast England bowlers, he is fourth. If the ICC's current ranking algorithm is applied - which courtesy of San Jose-based stats maestro Dave Wilson it is here - 70% of Snow's Tests and 76% of his aggregate wickets, were against the strongest opposition available - Australia and West Indies. In the Ashes, 83 wickets at 25.61 and a wicket every 61 balls over 20 matches puts him ahead of Trueman (79) and Larwood (64) and way beyond Tyson (32) in the wickets column - all three offered by the BBC as contenders for a place in the all-time team. On the 1970-71 Tour, against perhaps the strongest batting line-up Australia have ever fielded, his 31 wickets at 22.8 were the best since Larwood, and have not been bettered away from home since. 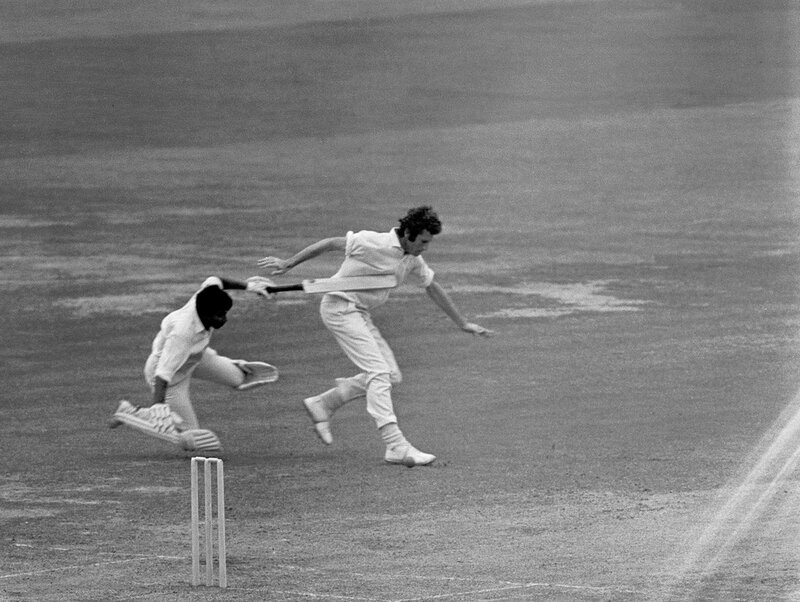 In his four series against Australia, Snow was the leading England wicket-taker three times, and at home in 1968, he was second. Against West Indies, 72 wickets at 26.62 and a strike rate of 49.2 over 14 matches, is equally strong. Snow never had a partner of equivalent threat. Like Kapil Dev and Richard Hadlee, he was the sole fixed new-ball spearhead for most of his Test career. With a couple of exceptions, his new-ball foils - all 12 of them - were workaday rather than illustrious. Unsurprising, then, that he took over 26% of all opposition wickets taken by bowlers in the Tests in which he played - ninth in the all-time England list, one ahead of Maurice Tate and 11 places above Larwood - both of whom made the Frith, Arlott and Swanton starting XI. On top of the official records, when apartheid led to cancellation of the home series against South Africa in 1970, Snow took 19 wickets against the Rest of the World. The next highest - against a side that included the likes of Garry Sobers, Graeme Pollock and Barry Richards - was 11. Injury and other matters not related to form meant he also missed out on eight home Tests and two tours to his most fertile hunting grounds. The captain, Mike Denness, wanted him on both occasions, but Snow was not selected for the 1973-74 trip to West Indies or the 1974-75 tour to Australia. The Australians were delighted and incredulous in equal measure. I could rest my case. But I'm not going to. Before the advent of speed guns, we can only rely on eyewitnesses to gauge just how fast bowlers were. And then there's the distinction between average speed - which, what with biomechanics and central contracts has almost certainly gone up - and peak speed, which hasn't. Certainly if you measured the average rate at which Snow sent down the 70,000-odd balls of his first-class career, he'd probably come out with the fast-medium designation on his ESPNcricinfo player profile. Indeed there were times down at Hove when I witnessed desultory spells in which I reckon my No. 2 bowling hero, Derek Underwood, would have come out quicker. But as the witnesses tell us, when he needed to be, Snow was as quick as anyone. 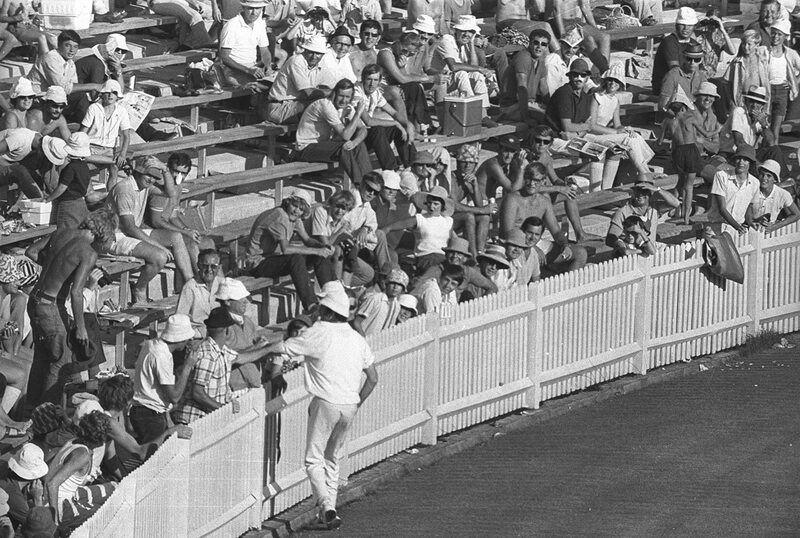 In 1971, Swanton wrote that he "had not seen an Englishman bowl either faster or better than Snow at Sydney since Tyson". Even on the county circuit, Spencer told me of moments when Snow would grab the ball and deliver spells of "devastating pace". He had a feared bouncer. As Geoff Boycott observed, "He had the knack of getting the ball up from just short of a length into the batsman's ribs." Or for someone of Gavaskar's stature, as the Indian opener described it, a little higher up, at the throat. But while, as the Australian cricketer and writer Richard Whittington wrote, when Snow "loped in off a sinisterly deceptive approach to bowl, he wore malevolence… like a cloak", he never set out to maim. Compassion at odds with reputation is nicely illustrated in these lines from Stephen Chalke's recent biography of Geoff Cope, the Yorkshire offspinner: "It was a rain-affected pitch and Snowy bowled off four paces. Greigy said, 'What are you doing?' 'If I bowl on here, I'll kill someone.' And he didn't want to know…That was typical Snowy." Average speed and the intent behind the aura of menace might be subject for debate, but the sheer beauty of Snow's action and approach is beyond it. For me, only Michael Holding has given greater aesthetic pleasure. Alan Ross pinpointed where that beauty lay: "When the mood is on him he makes fast bowling as natural an activity as breathing. He lopes into a gently accelerating rhythm that achieves tension and menace without evident stress." While capturing that rhythm and keeping it might have looked effortless, it wasn't. It never is. In the post-mortems following England's recent Ashes failure, their deficit inevitably featured. The cause, in part, as Steven Finn said is the volume of cricket played. "It's not possible to bowl 90mph for a whole season. I've played a whole summer and a whole year, and your pace does drop." If it's tough now, it was tougher then. In the summer before the 1970-71 tour of Australia, for instance, Snow bowled about 40% more overs than Jimmy Anderson did in the run-up to this winter's trip. Frith thinks that part of why one of his favourite cricketers is underappreciated is not because he ignored his advice "to get his hair cut, so he'd look like more of a Roman god and less like a hippy" but because "taking his foot off the pedal in some Sussex matches… was an all-too-honest demonstration of the problems of a bowler trying to manage his workload". Small wonder, as Spencer says, that Snow rebelled at being forced into the donkey role at county level, effectively knackering him for the Tests. And rebel he did. As Snow's father, the vicar of Bognor, said proudly after the 1970-71 Ashes Tour, his son's triumph owed as much to what he called "the Snow cussedness" as to anything else. "Snow was Illingworth's rebel with a cause - the moment when he hit Terry Jenner in the head felt anarchic - and, moreover, our link between the worlds of sport and rock 'n roll, which ruled our lives." But it didn't. Nonetheless, watching those sketchy black-and-white images from across the seas, as Snow not only won the Ashes but seemed to take on the whole world - umpires, his own management, the Aussie public - fired me in a way I didn't entirely understand. The Jenner incident was upsetting, but in all honesty, it was exultation that buoyed me on the way to school in the cold mornings following the previous night's highlights. Even before that series, though, there were signs that all was not well down at Eaton Road. Sometimes he'd bowl fast, but more often he was just going through the motions. That swoop and throw was as rare as hens' teeth. We couldn't fathom it. How could he not enjoy playing for the county? We forgave him because he was our hero. And when Eddie passed on "top-secret intel from one of my men on the inside" about trouble with the captain and the "stuffed shirts" in the committee room because he was overbowled and his congenital back condition ignored, we felt sorry for him. Even if we didn't know what "congenital" meant. Eddie also told us that he was a poet. 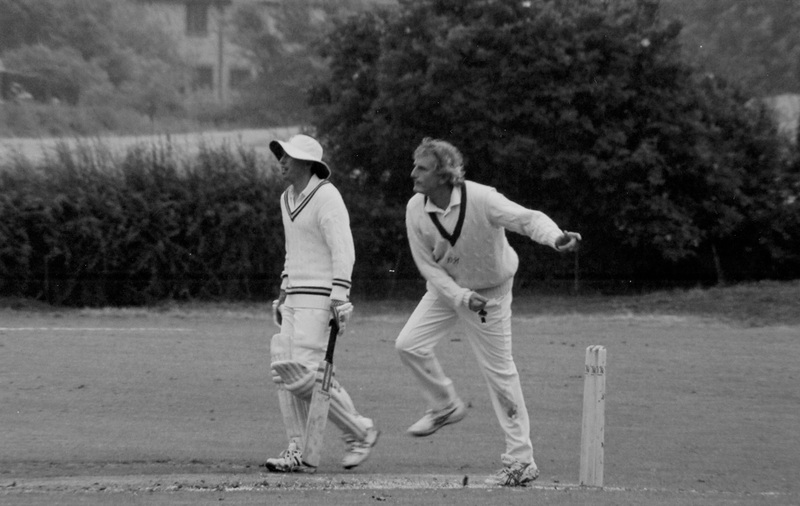 Ah, so that explained what he was doing down there on the boundary, watching the swallows flit over the pavilion, so Tony Buss had to shout at him to stop a ball trickling over the rope at fine leg. Fair enough. Writing poetry isn't easy. We had trouble reading it. Perhaps because, as Eddie posited, "he's a vicar's son and has been brought up to be truthful", Snow wouldn't dissemble. He'd worked out exactly what he needed to do to prepare for peak performance, and if that meant coming off eight paces in a run-of-the-mill county game on the eve of a Test, that's what he did. And if he wasn't happy, we all knew about it. Nobody seemed to mind down in the cheap seats. We'd often overhear one of the old men say things like, "Snowy's got the right hump with something today", and then chuckle. Later, in the early seventies, once our adolescence kicked in, and Snow's hair grew increasingly wild, we'd didn't just forgive his famous "moods", we revelled in them. We'd sit in our army surplus greatcoats - to guard against the chill from the mist which came up from the sea and because they were cool - smoking our Number 6s, and just watch him brooding down there on the boundary. Sometimes he'd emerge from the sea fret and something about the shuck of the hips and the follow-through would signal intent and we'd sit up and take notice. But if he didn't, it wasn't a problem. But for Snow and for England, it was. The stuffed shirts couldn't have someone refusing to kowtow. And for the chairman of selectors, Alec Bedser, who had always done his captain's bidding, Snow's refusal to tug the forelock was anathema. He was "not a team man" and un-selectable for those two crucial tours. It wasn't a question of not trying, it was about avoiding burnout. But Bedser wouldn't understand, because as Spencer and I said, almost in unison, fine bowler though he clearly was, "Bedser wasn't a fast bowler." When I asked Frith and Bob Willis why Snow was so undervalued - and they both agree he was - both cited the Gavaskar incident and its aftermath. Frith thinks it did Snow, "almost irreparable harm". Still pre-greatcoats, we watched every ball of the Lord's Test when the incident happened. We gloried in Snow's highest Test score (73) in the first innings, but when in India's second he collided with Gavaskar, we felt physically sick. It looked bad. It was all over the news that evening, and even my father, who had no interest in the game, observed: "Things aren't looking good for your hero." They weren't. In fact, it was nothing like as heinous as it first looked. For Gavaskar, it was "just one of those things". Later he would choose Snow as one of his idols, and considers him "a good friend off the field" - but for Billy Griffith, secretary of the MCC, it was the "most disgusting thing" he had ever seen on the cricket field. Dropped again. He would come back, even later in that same series, and on the insistence of Illingworth, for the whole of the 1972 home Ashes. But until Tony Grieg took over the captaincy after the Lillee and Thomson shellacking Snow so ludicrously missed, it was almost as if the powers that be were looking for any excuse to leave him out. A Test career frustratingly so much less than it might have been, and a reputation perhaps indelibly stained. Snow's autobiography came out in September 1976. I bought it immediately and read it in one sitting. At the time, I felt let down. My own rebel stance had widened by then from my own small world - parents, teachers, school - to something more outward-looking. I was Rocking Against Racism, and Snow's "rebellion" seemed to be so very parochial. And it mattered too - before we learnt that Motorhead's Lemmy was also a vicar's son and the Clash's Joe Strummer had a diplomat for a dad - that Snowy wasn't a working-class hero. Worse was his position on South Africa. While against apartheid and "all it stood for", he didn't support the boycott. I was about to join the occupation of my new University Senate House because they banked with Barclays, who apparently invested heavily in the Vorster regime. No, Cricket Rebel didn't chime as I had hoped. Years later, though, when I read it again, I felt differently. I noted his awareness of the plight of others, sparked by the poverty he witnessed in India and the Caribbean, and was struck by his deep love of the game. I knew this because I knew he'd kept playing after Sussex, but still felt a lump in my throat when I reread how much his England recall in 1975 had meant to him. Above all, I was struck by his generosity to his fellow players. It was this theme that I wanted to explore. I wanted to find out, in other words, if my hero was a decent bloke. This meant more than the romantic allure of the outsider image, more even than the deceptively nonchalant physical grace that had first entranced. That's what happens when you get older - you don't need your heroes to be heroic so much as you hope for them to be human. And the literature confirmed that he was. Particularly in the case of Imran Khan, who Snow mentored through the transition from medium-pacer to one of the greatest fast bowlers the world has seen. Just as he had done for himself back in 1965. 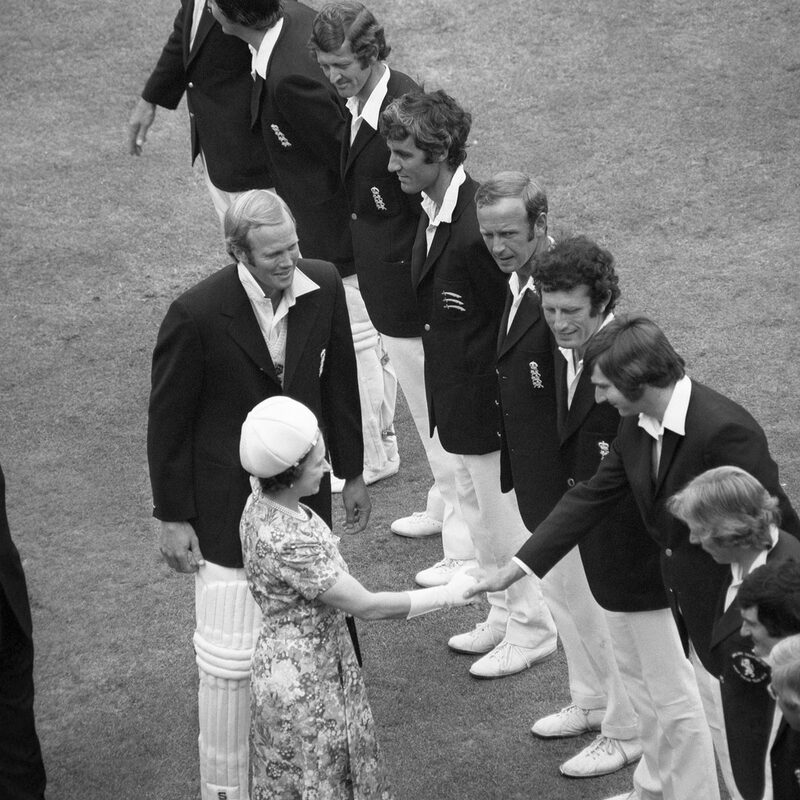 And when I spoke to Willis, he told me not only that he "used to pretend to be [Snow] in the garden" but that when he went out to join the 1970-71 Ashes tour as a raw 21-year-old, Snow was helpful and welcoming, giving him "plenty of advice about how to conserve energy and saving one's best for the big occasion". Meeting Spencer was the clincher. He was effusive about Snow. About how, while he was fundamentally a shy man and "uncooperative with his captains before Greigy took over", he was never so with his team-mates. When Spencer joined the club, he'd had no coaching at all on his bowling, and the coach at the time, a batsman, tried to get him to change his action to be more classical. He lost rhythm and confidence. It was Snow and Tony Buss who encouraged him to ignore the advice, and when he did so, and recaptured his form, Snow noticed the moment and just said quietly, "You're back now, John." Spencer particularly remembers a Gillette Cup Final at Lord's. 'I'd had an absolute mare - 66 off ten overs or something - and when I was walking off feeling absolute rubbish, Snowy came up to me and put a consoling arm around my shoulder and said, 'Don't worry about it Spud, next week you'll be man of the match.' Next week was my wedding day. It was a lovely gesture at a low point in my cricketing career." They say you should never meet your heroes, but in summer 2002, that's just what I did. My cricket team had arranged a match for a local charity. Old England had agreed to play. Not only Snow but Underwood too would be in the side, along with David Capel, Roger Tolchard and others to be confirmed. The excitement felt by a group of men mostly on the wrong side of 40 was a slightly embarrassed reprise of what we'd felt when going to our first Test match. We tried to hide it but weren't very successful. When the day dawned, it was filthy as only a July day in England can be. The sea fret from Eaton Road had travelled up and over the Downs and shrouded them in a thick white coat of mizzle. As we nervously finished our preparations, we fully expected our opponents to arrive, take one look and then turn tail. But they didn't. They greeted us with good humour and insisted on the game going ahead. They naturally batted first, and the ball was like a bar of soap. I remember little of their innings, other than my shame in getting Monty Lynch caught on the boundary under the dripping trees, off a waist high full-toss. During tea, which we took down the lane in the Village Hall, the heavens duly opened. You could hear it hammering on the corrugated iron roof. Now surely, the veterans would call it a day? But no, they'd had their bat and it was only fair we have ours. We'd wait and see if it cleared. There were the spectators to think about, after all. All ten of them. Including my old chum, with whom I'd first set eyes on Snowy more than 30 years before. The rain did clear eventually, to a point, and I walked back down to the ground flanked by Derek Underwood on one side and John Augustine Snow on the other. I can't recall what I said to them. Tongue-tied at first, I then probably gabbled inanities, so I'm glad I can't. But I do remember how courteous they were and how easy and companionable with each other. Snow, then over 60, was still trim and athletic, and with his grey hair shorter than in his rebel days, looked every inch the Roman god Frith had wished him to be. When he took the new ball and marked out his run on the treacherously damp turf, I held my breath. And then he came in. Understandably a little gingerly and off about five paces, but at the point of delivery, there it was - the ghost of that familiar shuck of the hips. And then he slipped, and came down heavily in the popping crease. There were gales of laughter from his team-mates, but he got up and finished his over. I can't remember if he bowled another. It didn't matter. My boyhood hero, just a man after all. On a cricket field, in England, in the rain. Finally, I met up with a couple of my old team-mates from that game, and Colin Mansfield, who was at the crease at the time, told us: "After Snow fell over, John Lever took the second over and at the end of it he said, 'Well, I didn't have any trouble, John' and Snowy came back, quick as a flash, 'Well, John, that's the difference between pace and medium pace'. I've never forgotten it."